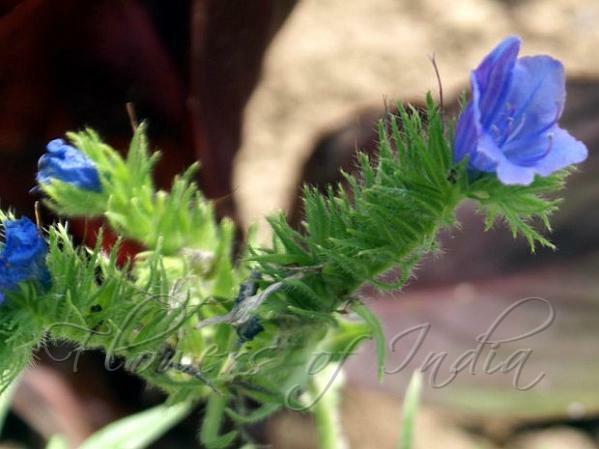 Purple Viper's Bugloss is a plant native to western and southern Europe, northern Africa, and southwestern Asia. It is a winter annual plant growing to 20-60 cm tall, with rough, hairy, lanceolate leaves up to 14 cm long. 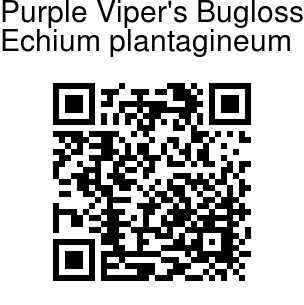 Leaves oval to lanceolate, basal leaves, in a rosette, up to 20 cm long, with a short stalk, stem leaves reducing in size towards flowers.The flowers are purple, 1.5-2 cm long, with all the stamens protruding, and borne on a branched spike. It is distinguished by leaves with spreading hairs having an enlarged base, and flowers in caterpillar-like curved spikes; funnel-shaped flowers.